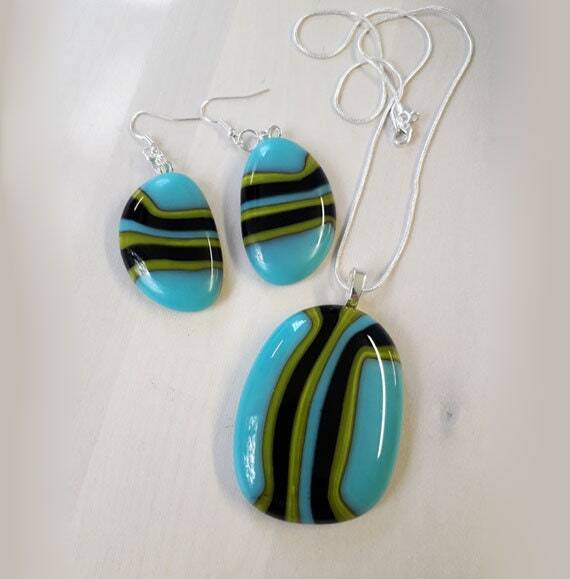 Fused glass earring & pendant set, in stripey blue, green and black glass on silver. 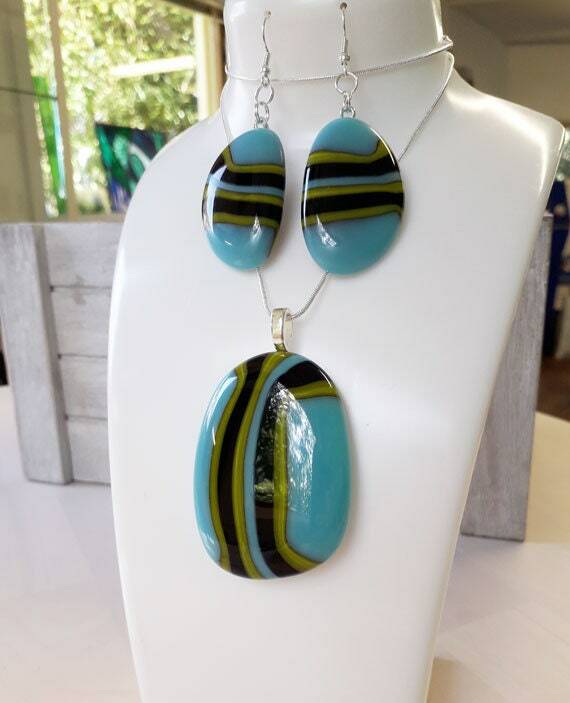 A big, bold set of jewellery in bright, bold colours! The pendant's quite large - about 62mm long & 40mm wide. 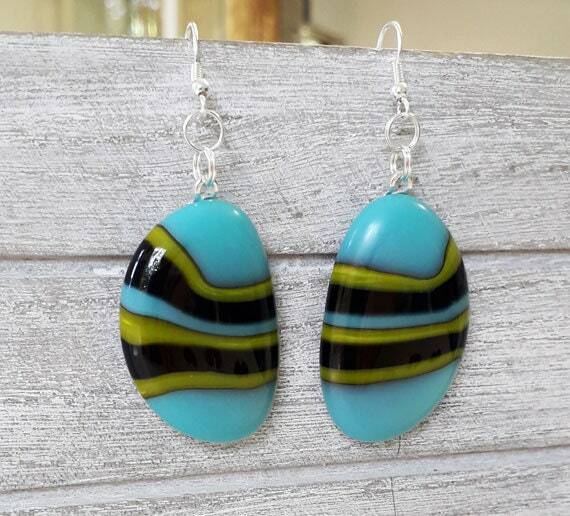 It's made from fused glass in a blue, green & black stripey pattern, and hangs from a silver leaf bail on a silver chain. 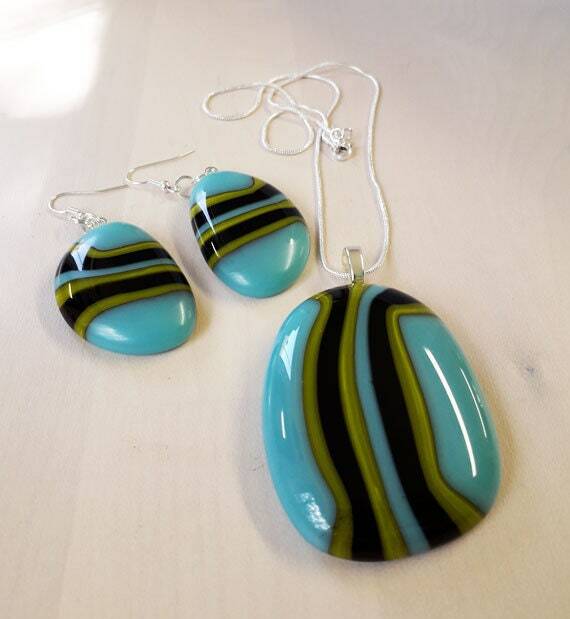 The earrings are a matching pair made from offcuts of the same piece of glass, so they match the pendant perfectly. The wires are sterling silver.